Woot Bear will be releasing two gorgeous new colorways of Kyle Kirwan’s Willo and Bloom resin figures exclusively at Designer Con 2016! 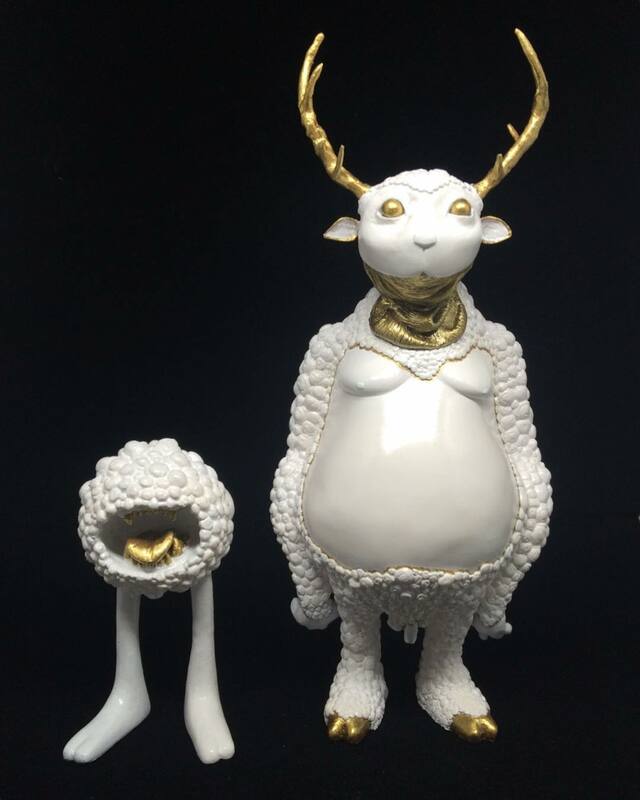 The DCon exclusive High Ridge Edition Willo and Bloom each feature an all white paint scheme with metallic gold accents. The Blot especially love’s the open mouth on the High Ridge Bloom, which features gold teeth and tongue. As best I can tell, this is the first open mouth Bloom ever released! The Designer Con Exclusive High Ridge Willo is an 11” tall rotocast resin figure, while the High Ridge Bloom resin figure stands 5.5” tall. Each figure is limited to just 5 pieces and can be purchased this weekend at the Woot Bear DCon booth #1805.